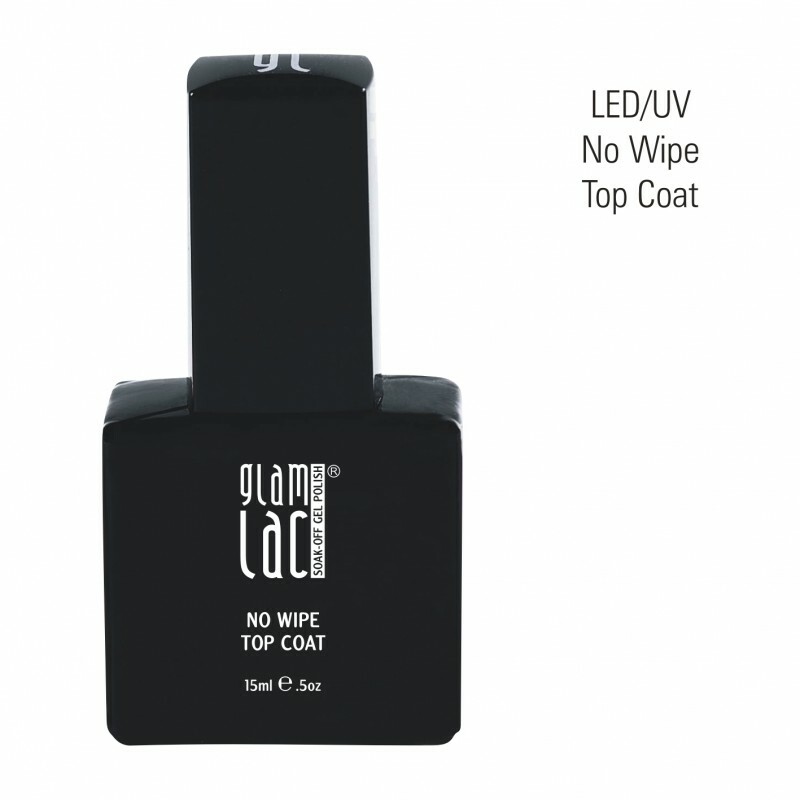 GlamLac LED/UV No Wipe Top Coat offers the cleanse free application of top coat- curable by LED or UV light. 15 ml. Apply a normal layer of the top coat to the gel polish. Drying time: under LED lamp 30 seconds or under UV lamp 2 minutes.No need cleanser!